Discover wine country living with modern amenities at Shiraz Pointe. If you want to live in Idaho wine country, this is it. Ride your bike to the Ste. Chapelle Winery, have a glass of wine and be home in time for dinner. 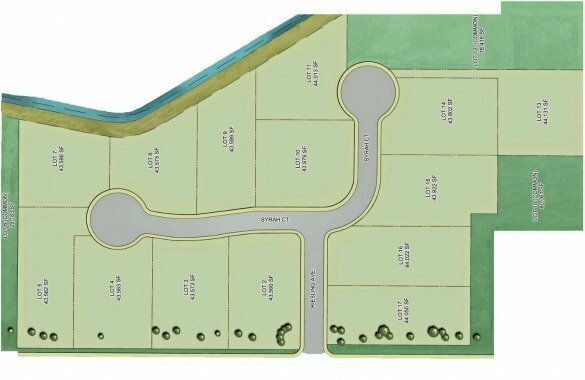 Shiraz Pointe homes for sale offer custom-quality construction and top of the line finishes on 1-acre building lots. Sit on your covered patio and revel in the pristine setting while taking in views of the orchards, Lake Lowell and the Owyhee Mountains. Search all new homes in Caldwell or explore our new Caldwell subdivisions guide and find the perfect place. Karcher Rd (Hwy 55) to Chicken Dinner Rd. Turn left (east) on Riesling Ave, Caldwell, ID 83607. To discover your dream home in Shiraz Pointe, contact us online or call the Caldwell, ID real estate specialists at (208) 391-4466.